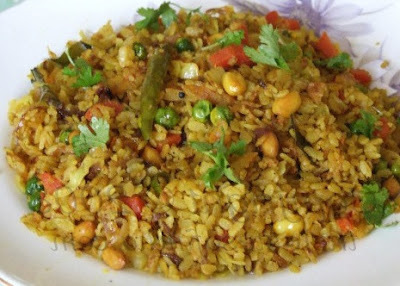 Kande Pohe is a very delicious and popular Maharastrian breakfast. It is a healthy dish and takes few minutes to prepare. In a work or kadhai, heat oil, add mustard seeds, cumin seeds when they start to splutter add raw peanuts, let the peanuts cook till they turn brown. Now add curry leaves, chilies and stir once. Add in the onions and mix well, add hing, turmeric and mix again. Let the onions cook till slightly brown. Add in the washed poha, salt, sugar and mix well. Cover and let it cook for 5 mins on low heat. 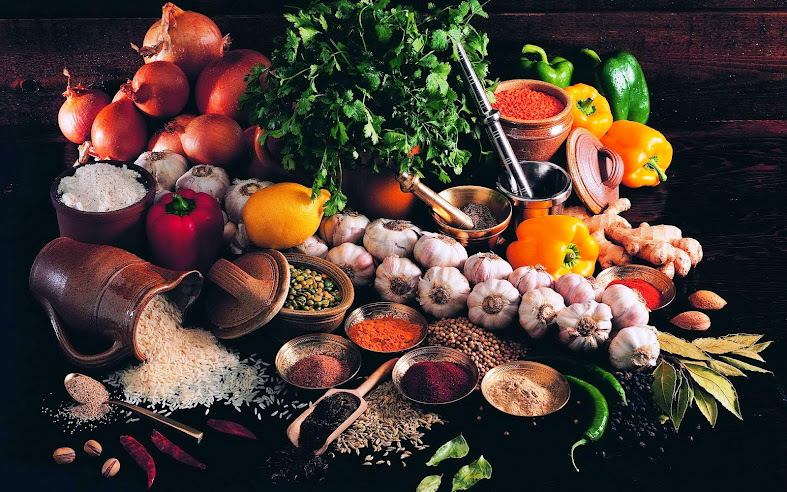 Remove cover mix well, add coriander leaves, squeeze juice of half a lime and add coconut give it a good mix. Turn off the heat and cover the poha. Keep it covered for 2-3 mins.